Inter are odds-on favourites to lift the Coppa Italia for the seventh time when they take on Palermo in the final on Sunday. The Milan giants will be desperate to end the season in style by winning the trophy for the second successive year after finishing as runners-up in Serie A, six points adrift of bitter rivals AC. On recent history, Inter easily have the edge over their opponents, having won three of their last four games against Palermo. Indeed, the Sicilian outfit have failed to beat the Nerazzurri in any of their past ten meetings, with Inter taking the spoils in six of those games. Punters who bet on Inter to continue their strong run of results against Palermo can get odds of 3/4 at bwin.com for Leonardo’s side to come out on top, which means a successful £10 stake will net a return of £17.50. While Inter have an illustrious past in the Coppa Italia, Palermo have never won the competition – although they have twice been beaten finalists, in 1973-74 and 1978-79. 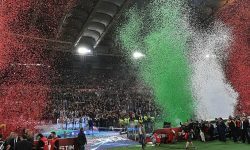 Although they start as underdogs, they can be encouraged after a strong Serie A campaign in which they finished eighth, just two points behind Juventus and ahead of fellow Sicilians Catania. Beating Inter would certainly not be Palermo’s only scalp in the tournament this season. They overcame AC Milan in the semi-finals, earning a hard-fought 2-2 draw at the San Siro and running out 2-1 winners in the second leg. And with bwin.com offering odds of 29/10 on them to win on Sunday, a bet on Palermo to see off Inter looks an attractive prospect. The two clubs have been involved in some high-scoring games recently, finding the net 34 times between them in their past ten meetings. As a result, the 7/10 available on more than 2.5 goals to be scored in this match looks well worth a shout, with a winning £10 bet landing £17.